Researchers and administrators spend a lot of time making sure the data in Pure is accurate and a true reflection of academic output. Pure 5.5 offers more ways for customers to reuse their curated data both within Pure and with ORCID. The release also makes more citation metrics available to customers. 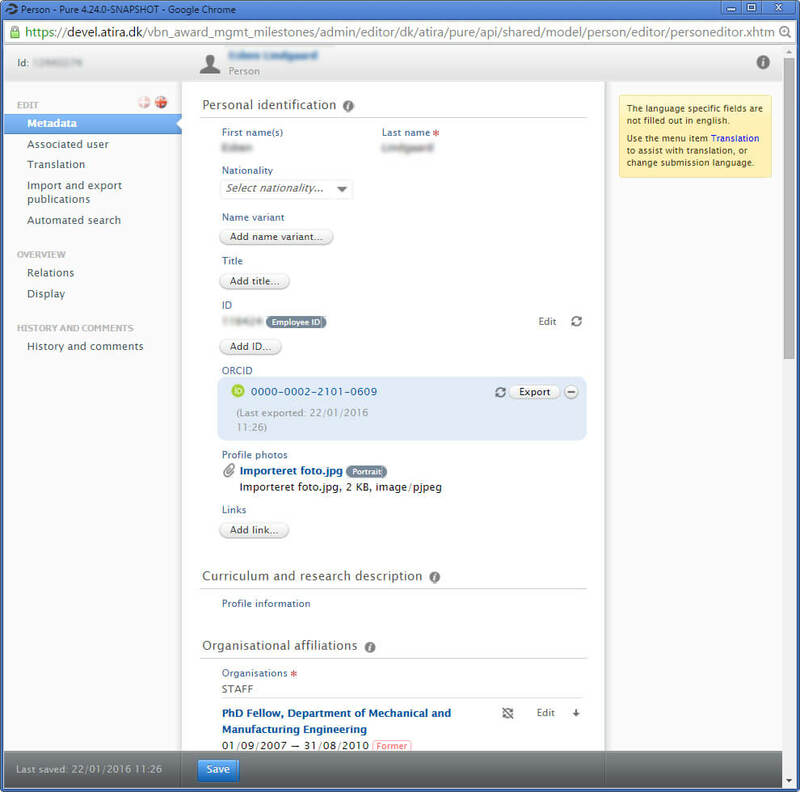 We are proud to announce that Pure can be configured to automatically match digital object identifiers (DOIs) to a researcher’s ORCID, so if one of your faculty members adds a publication or other scholarly object to his or her Pure profile, those records will also be linked to the researcher’s ORCID. 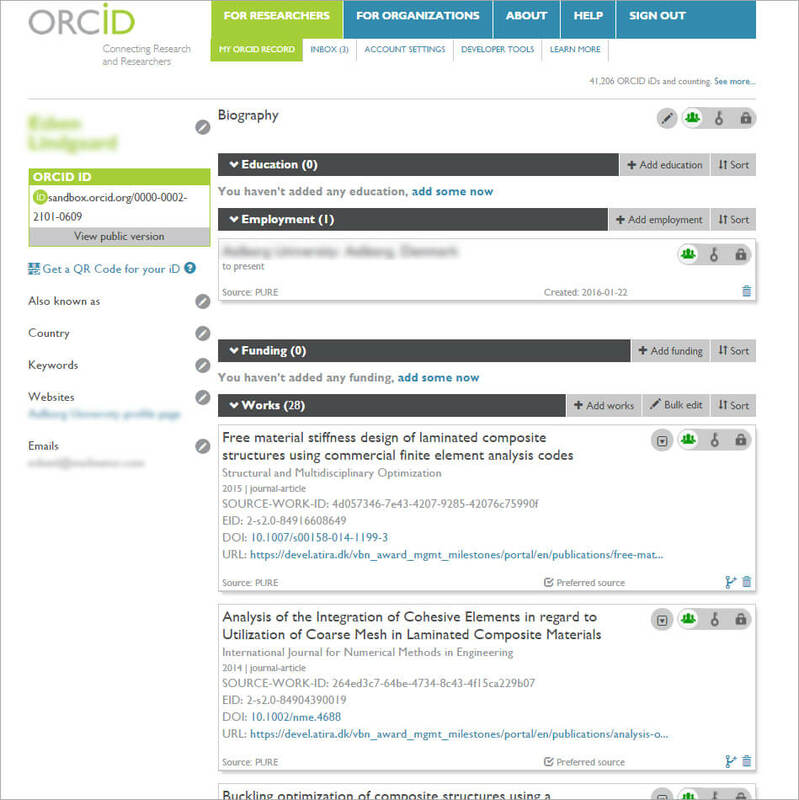 This a really important step in the ORCID initiative because it means the number of DOIs linked to ORCIDs will grow dramatically, helping further ORCID’s mission of connecting researchers to their research. ORCID isn’t the only place where you can use your Pure profile data. Now more can be used across Pure modules. More of the standard profile data will be available in the CV module, making it easier for researchers to generate CVs to support grant applications and other proposals. The data upload improvements make it easier to do large imports into Pure with one place to go for all bulk imports. For customers who use the Masterlist spread sheet, there is an improved import wizard. The next major Pure release, 5.6, is scheduled for June 2016. The June release will include Faculty Activity Reporting, a way to understand the complete picture of a researcher’s activity including courses taught and other non-publication based output. As part of adding Faculty Activity Reporting, we will be updating the data model for Activities to allow greater flexibility and the possibility to capture internal activities so that Pure better supports the annual review process.